Even as the environment ministry is busy rooting out the foreign species, NBCC is planting more; a clear case of the right hand of the government not knowing what its left hand is doing. 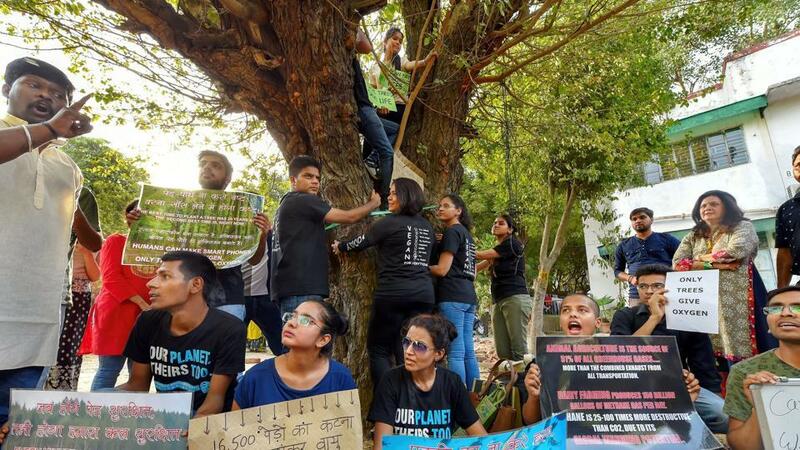 For some days, the media has been covering the issue of the proposed felling of some 15,000 fully grown trees in seven colonies of South Delhi to facilitate the building of multi-storeyed commercial and living complexes. The seven colonies (Nauroji Nagar, Netaji Nagar, Sarojini Nagar, Mohammadpur, Sriniwaspuri, Kasturba Nagar and Thyagaraj Nagar) are among the greenest areas of South Delhi and have so far been an important part of the “lung power” of the capital, sustaining every breath we take in the city. The project is being executed by the NBCC (India) Limited, which is a blue chip government of India Navaratna enterprise under the Ministry of Housing and Urban Affairs. Though proposed several years ago, the project was cleared by the Union cabinet in July 2016, with the aim of increasing housing availability for government servants. The proposal made considerable sense on paper. Union minister Ravi Shankar Prasad was quoted as saying that with an expenditure of Rs 32,835 crore, the project would increase dwelling units in the seven colonies from 12,970 to 25, 667 units. At one level, a virtual doubling of housing units seemed to make sense, especially since the project entailed self-financing. The NBCC planned to sell parts of this expensive land for commercial use, thus generating its own funds. Regarding the greenery, the government’s position is that it plans to not only plant more trees (plant ten more for every tree that is felled), but also nearly double the ‘green areas’ thus actually benefitting Delhi citizens – eventually, and if at all. Behind these optimistic figures are some realities. First, NBCC is quoting its ‘successful’ development of the New Moti Bagh complex as evidence of its sincerity in promoting the environment. The trouble is that its notion of ‘green cover’ is at complete variance with what is actually required. Simply put, the extensive green lawns in this enclave cannot possibly replace a tree cover in terms of environmental desirability. It also turns out that NBCC has planted trees entirely unsuited for the environment or for combating pollution. NBCC’s criteria for selection were trees that would grow quickly and need minimal maintenance. These are sensible criteria, but entirely miss out the point of the whole ‘replanting’ exercise. Even as the environment ministry is busy rooting out the foreign species, NBCC is planting more; a clear case of the right hand of the government not knowing what its left hand is doing. 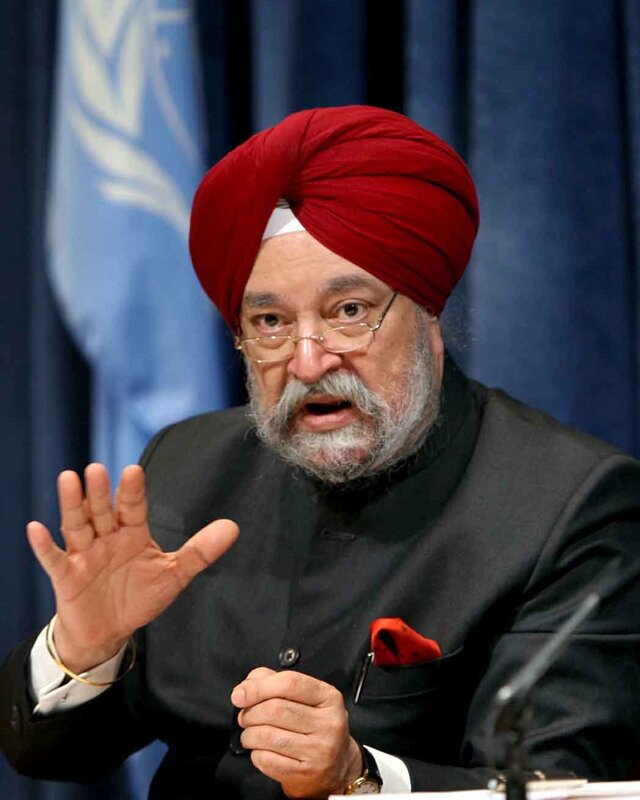 The statement by minister of state Hardeep Singh Puri that he would ensure that ten trees would be replanted for every one cut, is no doubt well meant, and being a person of considerable ability, he will probably try to ensure that this is actually done. The fact, however, is that a few of these plantations survive a summer. Survey after survey has confirmed this, with one report noting that if the “ten trees for one” principle had been followed, the whole of Delhi would be a thick forest by now. Apart from this is the critical fact that a tree needs at least ten years before it can fulfill its role as a pollution warrior. Delhi simply doesn’t have the time. It’s already dangerously on the brink. None of this means that Delhi should not develop. It should, but with some changes in this specific case, and some policy shifts in others. Option one is that NBCC continues to develop these colonies, but keeping to the same existing lay-out. In short, the present two-storeyed structures can be strengthened or completely re-built into 3-4 floors. This ensures that few trees – or shrubs, which are also vital to the ecology – are displaced. This means re-drawing its plans, but that’s a small price to pay for continuing to breathe. Option two is that NBCC continues its plans in five of the colonies in the existing manner. The other two – ideally Netaji Nagar and West Kidwai Nagar – be developed as “Metro Oxygen Development Initiative” parks. The acronym could help. Trees from the other colonies could be replanted in these parks, providing the common man a central site for yoga exercises that the prime minister himself supports. These urban jungles, with absolutely no heat-emitting concrete structures (no, not even a bench) could become Delhi’s lifeline. Option three – the ideal –is that these houses are simply strengthened and left as they are. The British era houses in these colonies with their high roofs and ventilators ensure that only a fan is required for at least eight months of the year to keep it cool. Its high time we re-learnt the fact that acres of glass windows are highly unsuitable in a country where the sun shines pretty much all the time. In terms of broad policy, the ministry and its mega construction group has to recognise certain realities. Making housing colonies directly abutting onto a busy highway is an exercise in futility. The NBCC construction of flats for the East Kidwai Nagar segment faces the Ring Road, with its bumper to bumper traffic. In this, it is very similar to the existing government multi-storeyed flats that also face the Ring Road further up. Blocks facing the road in this colony are lying empty because apart from the pollution aspect, a tenant can’t hear herself speak due to the rumbling of trucks and the incessant honking of cars. It is certainly true that government servants do need more housing units. Various reports on urban development have suggested that these should be moved out of Delhi together with their ministries in an effort to decongest Delhi. The government has indicated that this continues to remain its focus and that it has allotted more than Rs 31,930 crore for decongesting the city. If that is the aim, than this construction goes head-on against this objective. The basic principle of master strategists everywhere – from business to war – are all the same – keep your objectives clear and don’t allow the ministries to muddy the waters, especially when the praja is due to go in for vote. 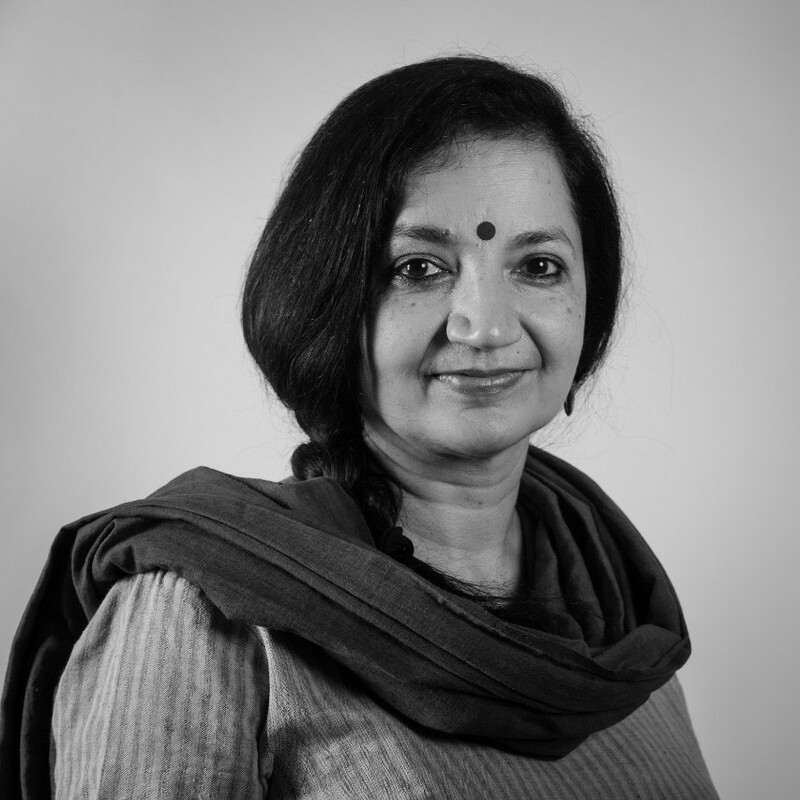 Tara Kartha was Director, National Security Council Secretariat. She is now a Distinguished Fellow at IPCS.